We are always a phone call away or by text and email, which ever you prefer. We address any concerns you have prior to the inspection and offer a full consultation following the inspection. We go over the findings and answer any and all question you have. If you are transferring to the area we can go over the details together while you look at your report on a computer or smart phone. My system is fully automated and integrated to make your home inspection as streamlined as possible. You can book your inspection online, sign the inspection agreement online, submit payment online and view the report online. No need to try and fit “one more thing” into your busy life. This also makes the inspection portion of buying a home from another state a bit simpler. Our reports are presented in the same format as a website. This allows us to provide you with a lot of useful information about your new home. The reports have full color photos, diagrams to help you understand what we are talking about, links to provide even more details or DIY solutions to the findings, in some cases videos will be embedded into the report so you can see exactly what we saw! You have the option to view only major concerns, a full summary or the complete report as well as download a pdf version to keep for your records. Our services don’t end when you receive your report. We encourage you to call us with any questions once you move into your new home (even if not related to your report)! We also offer annual “Home Maintenance Inspections” to help you keep your home in tip top shape. Since you are a valued client we offer a 10% discount off your original inspection fee, even if you qualified for our “Local Heroes Program” discount! 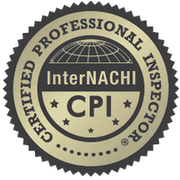 I have over 20 years combined experience in residential and commercial construction, commercial facilities management and home inspections. 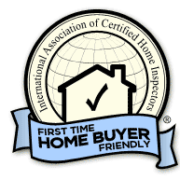 My combined experience and certifications from the International Association of Certified Home Inspectors is why I am your Certified Home Inspector.